Chinese medicine is a medical system that is capable of treating a very wide range of conditions. Together with acupuncture, massage, and food cures, they form the four distinct methods of treatment in traditional Chinese medicine (also known as TCM or T.C.M.). Today, TCM still plays a major part of health care in China, and is provided in state hospitals alongside with Western medicine. You may ask why we need TCM when the modern and scientific medicine is available to us. The reason is that many diseases that cannot be cured by Western medicine can be treated by TCM successfully levitra satın al. When you visit a doctor practicing TCM, he or she will observe your complexion, examine your tongue, check your pulse, ask you questions about your symptoms, your eating habits and your food preferences. Then based on the doctor�s diagnosis of what is ailing your body, he or she will advise you whether acupuncture or herbs will be the most effective treatment as well as which food is good for you https://turk-eczanesi.com. There are basic differences between Western medicine and TCM. Western medicine focuses more on the treatment of symptoms while TCM focuses more on the causes of these symptoms. Most Western chemical drugs are strong and may have side effects. On the other hand, Chinese herbs, acupuncture and food cures are less drastic, and when used the right way, generally do not produce side effects. Affiliates with Amazon.com, check what About-Chinese-Medicine.com Store offers. The Chinese Medicine Blog keeps you up-to-date with all additions and changes to the about-chinese-medicine.com website. Subscribe now. 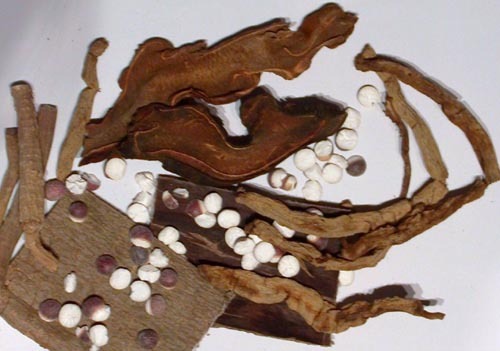 The introduction to traditional Chinese medicine is extensive, starting with the writing of the Internal Medicine Classic of the Yellow Emperor. The goal of ancient Chinese medicine is to create harmony within a person, allow the body, mind, and spirit to heal itself. If Qi (Chee) is blocked, illness may occur. All herbal medicine is natural, may contain the entire plants or plant parts, and considered as food, not prescription drugs. But is it safer. More secret food cures revealed not only to treat, but also to prevent illness. There are thousand of medical home remedies available around the world. While some remedies may not work, many others are extremely effective. You may be able to recognize the difference between tea sold in supermarkets and gourmet tea store, but there are other facts about tea that you should know. Acupuncture and history of Chinese medicine are both based on the yin and yang concept. One study reveals that people using acupuncture take 79% less prescription mediciation. Tui Na is a form of Chinese manipulative therapy which can relax stiff muscles and soothe pain. Why not try Tui Na as joint pain massage therapy relief. Further your studies in alternative medicine schools or massage therapy education. Subscribe to our newsletter to find out what is new in Chinese medicine and how to stay healthy, feel energetic, and live longer. Please email us with any of your Chinese medicine questions. We will reply quickly. Of course your comments on future improvements are always welcome. Learn how About-Chinese-Medicine.com website is made. Looking for secret food cures, home remedies, herbal medicine, facts about tea and more, this search page will help you to get the answers. Valuable links directory to other useful websites and resources.